We had an excellent day trip and tour of Teotihuacan from Mexico City. Our guide, Alberto, was incredible. 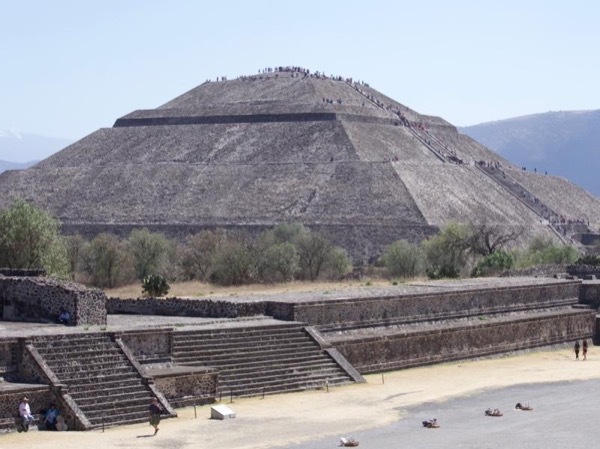 He has an incredible dephth of knowledge of anthropology of Mexico and was able to provide interesting information not only on Teotihuacan but also other areas/ruins in Mexico. He was accommodating, friendly, and easy to talk to. Would highly recommend! We just finished a totally awesome central historic city tour with Alberto. We would give him a 10 out of 10 rating. We loved The Diego Rivera murials and learned so much. Our lunch at a truly local establishment was delightful. So much history, culture, living were provided and discussed. Best start to a wonderful vacation. Wonderful day with Alberto! So very knowledgeable about Mexico and her history and enthusiastic in his story-telling. Clear english and a delightful sense of humor. We felt like we spending the day with an old friend. Highly recommend the Downtown City tour. TOUR GUIDE RESPONSE: Thank you for your rating Mr. Goodwin! Alberto was a terrific guide. Super knowledgeable about all things Mexico--from history to art to culture . A very warm individual and a pleasure to spend time with. thanks for a great day! We could not have asked for a better experience on our half day tour of Teotihuacan and the Basillica de Guadalupe. Alberto was everything one would want in a top-end guide: friendly, knowledgeable, responsive, and conversant on a wide range of subjects. And he took us for a terrific lunch at a local restaurant we never would have found on our own. Incredible posole and roasted goat! Alberto was a fantastic guide for our tour of the Colors of Mexico. He was incredibly knowledgeable about Mexican history (and world history relating to events in Mexico) and related all that we saw to the bigger picture. We absolutely loved spending the day with him and hope to be able to take another tour with him in the future. He was very flexible in dividing the time we spent at the tour stops and made sure that we had enough time to see our top priorities (Casa Azul was great!). Thanks again!! Alberto was full of information and we had lively discussions about many things related to the changing culture and influences in Mexico. Visiting Coyoacan celebrating Dias De Los Muertos, visiting Frida Kahlo Home were highlights. The amazing Dolores Olmedo Museum and estate with it's huge Diego Rivera collection was more than I imagined. We had a lot of fun in the Trajinera canal rides in Xochimilco felt like a great party and observing all the activity just made the tour end with huge smiles. Awesome tour. Our tour guide Alberto was good. His knowledge on Mexico City was incredible. We got to see Mexico City in such short period of time. Rachel. Great tour. Alberto was prepared, knowledgeable, and adaptable. Absolutely amazing! My group of 5 had an amazing experience with Alberto. He was prompt in picking us and got us to all of the places we wanted to visit. Everyone in my tour group said that touring with him was one of the best parts of their trip to Mexico. 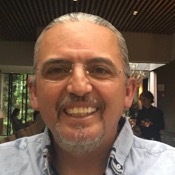 If you want someone who is very knowledgeable and can show you Mexico City, please choose Alberto!!!! This is a great tour, full of colour and surprises. There's no way we could have reached all these sites in a day without Alberto's help and planning and his company on our second tour was as informative, charming and warm as our first. Alberto helped us adapt to swap out Casa Azul for Trotsky's fascinating house and the beautiful Dolores Olmedo. We were lucky to visit all these great places with Alberto, and lunch again was excellent. Thanks Alberto, this was a great way to finish our time in the city. Alberto was an excellent guide who provided us with fascinating accounts of the area's history and made arrangements to help us beat the crowds. His insights, sense of humour, and knowledge of a such a broad range of topics really enhanced our experience, as well as having the comfort of the car and an excellent choice for lunch. Alberto's natural charm, organisation, and flexibility made for a great day and we will book with him again when we return to Mexico. I also recommend the CDMX SouthSide tour. On this date, we decided to go to Puebla and had Alberto as our private guide. Alberto was a very knowledgeable and fun person to talk to! We visited Cholula to see the tunnel as well as the Church built on top of the pyramid. We also visited a very good Mexican-Puebla based cuisine which has beautiful murals! Alberto is a very kind and patient person to my two kids. Both of my kids love Alberto so much! The van provided by Alberto is very comfy. Thank you very much Alberto! Alberto Morales is one of a kind- very knowledgeable and interesting, but also very kind and personable. We went to Teotihuacan on the day tour with him- FANTASTIC!! Our group of 5 thoroughly enjoyed our tour with him and would recommend him very highly- one of the best!! Thanks for all your help, Alberto! We really enjoyed the tour. Alberto is an excellent guide who loves his city, and has a deep knowledge of its past and modern history. We give him 5 stars and it's a pity your scale can't let us go above it. Excellent! We totally enjoyed our day with so much variety. Alberto is extremely knowledgeable and interesting and at the same time understanding of our desires and level of activity. Hurrah!!!! We thoroughly enjoyed MC thanks the Alberto. Can we do more than 5 stars? Alberto was absolutely fantastic. We needed a later start than usual and no problem, he showed up right on time and took us on a fun and informative journey to Teotihuacan and Basilica de Guadalupe, along with a terrific lunch at an authentic Mexican place we never would have found on our own. Alberto was perfect for our group, and we all learned a lot from what he shared with us on our tour. Fantastic experience and he also recommended and reserved a place for us for dinner! What a great tour! Alberto met us promptly and immediately began telling us about the wonderful art and architecture of historic Mexico City. He's obviously well-versed on everything related to the history of the buildings, the area, and especially the art. I had asked to make sure we saw some of the Rivera murals... but Alberto made sure we not only saw them, but learned all of the context and history that makes them so fascinating. When looking for a great tour guide, look no further than Alberto. Alberto was a super great tour guide. There were four of us. His van was spacious and comfortable and he arrived a few minutes early. He was very knowledgeable about Mexico's history and about the pyramids and all sites we saw. It was an absolutely fantastic tour by a great tour guide. Highly recommend. Alberto is an excellent guide and I really enjoyed the two-day tour in Mexico City. He is truly committed to show you his "Mexico" - the known places and also the locations off the beaten track. Highly recommended! We had an wonderful day with Alberto! He was informative, interesting and a great host. The transportation was top notch, the lunch amazing and the sites incredible. We would highly recommend Alberto. Very happy with this private tour! Alberto was an excellent guide, very friendly and knowledgeable. He was on time, and had great transportation (clean and comfortable). The food he recommended was also excellent. Would definitely recommend taking a tour with him. Alberto is the best guide I ever had. He not only knows the city/culture/etc. but also easily adapts to his clients needs. We not only covered Mexico City Downtown but tried local food/coffee/sweets that I would not discover by myself. Let him know in advance your prefernces in terms of your interests and you gonna have the bet Mexico City tour eve.